The registration fee for SC and ST candidates is `400, and for candidates in the general category, it is Rs 800. Hyderabad: The Telangana State Engineering Common Entrance (TSECET) test for students with diplomas in engineering, technology or pharmacy and students with BSc degrees in mathematics will be conducted by the Jawaharlal Nehru Technological University, Hyderabad (JNTUH), on May 9, 2018. JNTUH is conducting the exam on behalf of the Telangana State Council for Higher Education (TSCHE) for students seeking admission to BE, B.Tech and B.Pharm courses in the academic year 2018-19. The exam will be held on May 9 from 10 am to 1 pm. The notification will be released on March 2 and online application forms will be accepted from March 5 onwards. The registration fee for SC and ST candidates is `400, and for candidates in the general category, it is Rs 800. The last date for submission of the online application form without having to pay the late fee is April 6; with a late fee of `500, it is April 13; and with a late fee of Rs 10,000, it is May 3. The fees may be paid online through credit cards, debit cards and net banking, or at TS Online centres. Registered candidates can download their hall tickets from the official website between May 2 and May 7. 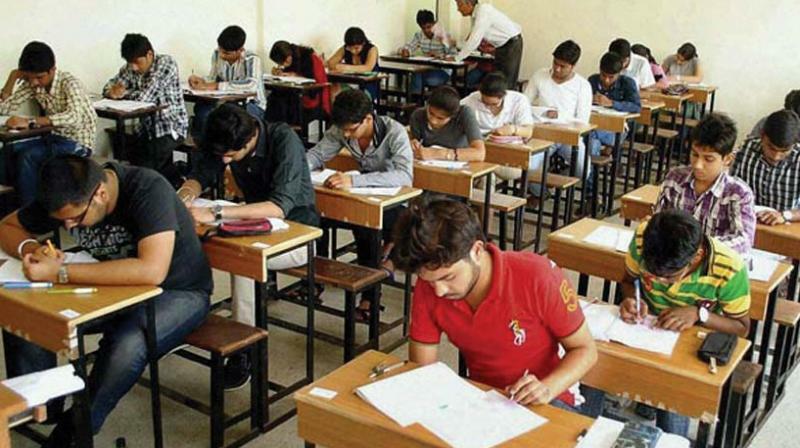 The TSCET will be conducted at 14 regional centres in Telangana and Andhra Pradesh — Hyderabad West Zone, Hyderabad North Zone, Hyderabad South Zone, East Zone, South-East Zone, Karimnagar, Khammam, Nalgonda, Nizamabad, Warangal, Tirupati, Vijayawada, Visakhapatnam and Kurnool.